Davco Adhesives are now LIVE on Masterspec! Masterspec is New Zealand's leading provider of Digital Construction Information and tools for the design and construction industry. 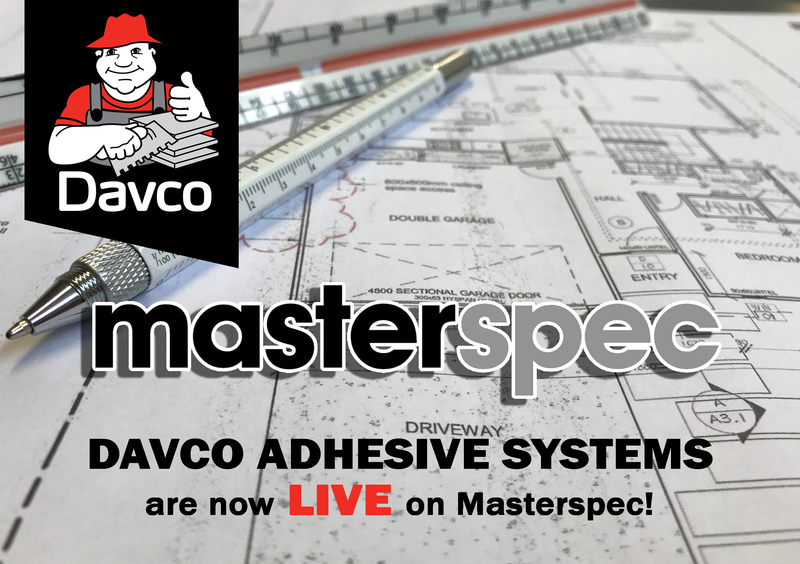 We are excited to announce that the full range of Davco Adhesive Systems is now available to specify on Masterspec. For more information on Davco Adhesive Systems, please contact your local Tilemax store!